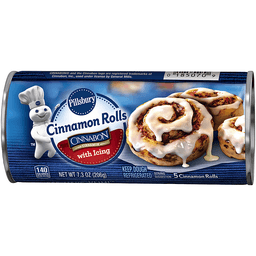 Ready-to-bake. 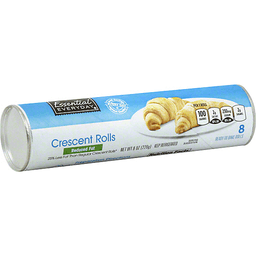 Per 1 Roll: 100 calories; 2 g sat fat (11% DV); 210 mg sodium (9% DV); 2 g total sugars. essentialeveryday.com. Naturally & artificially flavored. 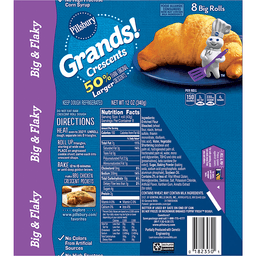 Real savings, highest quality, every day. 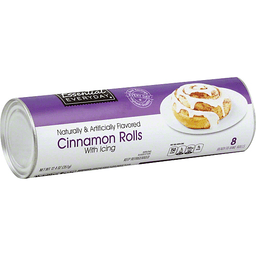 Ready to bake rolls. 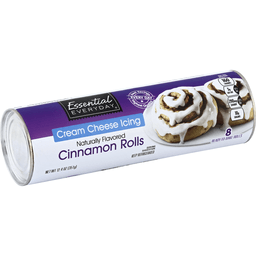 Per 1 Roll with Icing: 150 calories, 3 g sat fat (15% DV), 260 mg sodium (11% DV), 11 g sugars. www.essentialeveryday.com. Made in Canada. 8 ready-to-bake rolls. 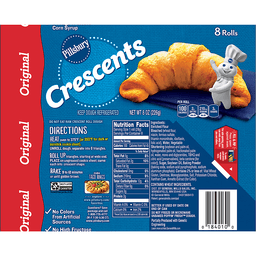 Reduced fat 30% less fat than regular crescent rolls (Fat content per serving: Reduced fat crescent rolls: 3 g regular crescent rolls: 5 g). 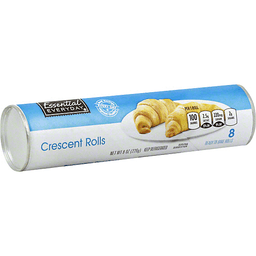 Per 1 Roll: 90 calories; 1.5 sat fat (7% DV); 210 mg sodium (9% DV); 2 g total sugars. essentialeveryday.com.